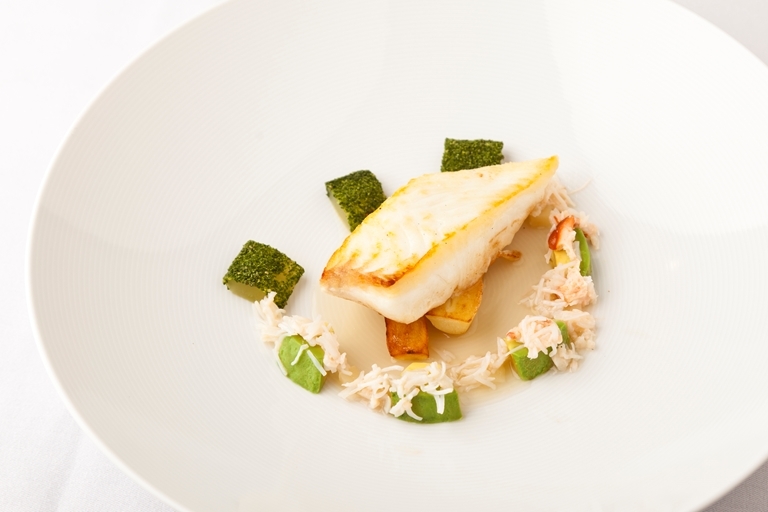 This halibut recipe is a wonderfully light, fresh and delicate fish dish with an Asian scented broth from Kevin Mangeolles. Cucumber plays a remarkable role in this course, with its refreshing taste playing well with the lemon grass consommé and the creamy avocado. The lemon jelly adds a magnificent extra layer of character.